This is an Open Edition Print by the artist Gavin MacLeod. 410mm x 610mm Print on.. 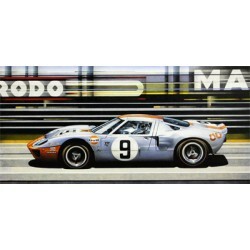 This is an Open Edition Print 841mm x 1189mm If you own a tool kit containing mor.. This is an Open Edition Print by the artist Rosemary Hutchings. 250mm x 380mm Pri.. This is an Open Edition Print by the artist Rosemary Hutchings. 510mm x 610mm Pri.. This is an Open Edition Print by the artist Roy Nockolds. 390mm x 480mm Print onl.. This is an Open Edition Print by the artist Simon Owen. 340mm x 500mm Print only .. This is an Open Edition Print by the artist Wayne Vickery. 450mm x 720mm Print on..